Happiness Pony #1 is out! 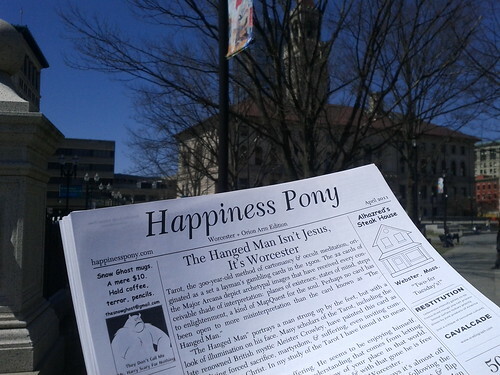 I’m very happy to announce that the first issue of Happiness Pony, a monthly newspaper for Worcester and the world, has been printed. It was edited by Asa Needle, Mike Benedetti, and Sarah Assefa. You can find it in finer shops and dives around town.